I had been in publishing for a number of years, writing on the side and not taking myself seriously. But, after my grandfather died I had an epiphany and decided to devote myself to my writing. I started working on a novel that is now under the bed, but it got me into my first writing workshop at Banff Arts Centre where I met Alan Cumyn. He told me about VCFA and a few weeks later an application arrived in the mail. I sat on it for a long time, but then I decided to apply and see what happens…take myself seriously. That’s so hard because all of the lectures are excellent, and they all gave me something. Here are a few favourites. Martine Leavitt’s “Tom Finds a Trope,” which inspired our class name. But, I feel like I’m leaving out…like everyone. Could you talk about your experience in lectures or during your semester work with advisers and how it may have shaped the writing life you are living now? Being in the lecture hall with everyone made me feel like I was becoming part of the community, we were all learning from one another. We were sharing something special, sacred and creative. It was transformative. The workshop model works because everyone is involved in the process. I remember the feeling in each one of being heard, there was respect for the work and for the writer. The techniques we learned in workshop, to be observant, to ask questions, to listen, is what I do now with my students and critique partners. It is about helping them find their story, not what you think their story should be. Each advisor taught me something different about writing. Sharon Darrow taught me about going deep into my emotion, she encouraged me to be open to my cultural experience, write about being Jewish—something I was very uncomfortable with doing and what I’m now stepping into with both feet. Mary Quattlebaum taught me the technical things about writing, plotting, grammar and structure, but also about play in writing, being open to the process. I hear her voice in my head when I’m copyediting. Rita Williams Garcia taught me to stand in my voice, not rely so heavily on what other people say. And, Sarah Ellis? Well, she brought it all together for me, helping me fine tune and find the humour. She pushed me to get a bit more grounded and focused. All of them prepared me for the writer/editor experience of receiving feedback and moving forward on your own to revise, revise, revise. I’m indebted to them. VCFA helped me become a writer and, I think, gave me some credibility with agents and editors. One of the reasons the editor approached me about writing Maud was because I had been attending VCFA. I’ve noticed that agents are willing to talk with me because I went to VCFA. The MFA also helped me get a college teaching job. Ok, now more about you! Please tell us about Maud. How did the story come about? I had been reading and studying Maud most of my life and had studied history at university with the hopes of writing historical fiction for children. When I was approached about the opportunity to write a young adult novel based on Maud’s teen years, it was the perfect symmetry of everything I loved. L.M. Montgomery is a Canadian literary icon who everyone thinks they know, but she crafted her life story. She was very aware of her image and what she wanted people to see. Yet, there have been letters and other artefacts that have been left behind which can show us another side to her. This story has never been told and it felt important to show a side of Montgomery that many people had not seen. It is the portrait of an artist as a young woman. A woman who is fighting for the right to go to college and to be a writer at a time when women were discouraged from doing so. 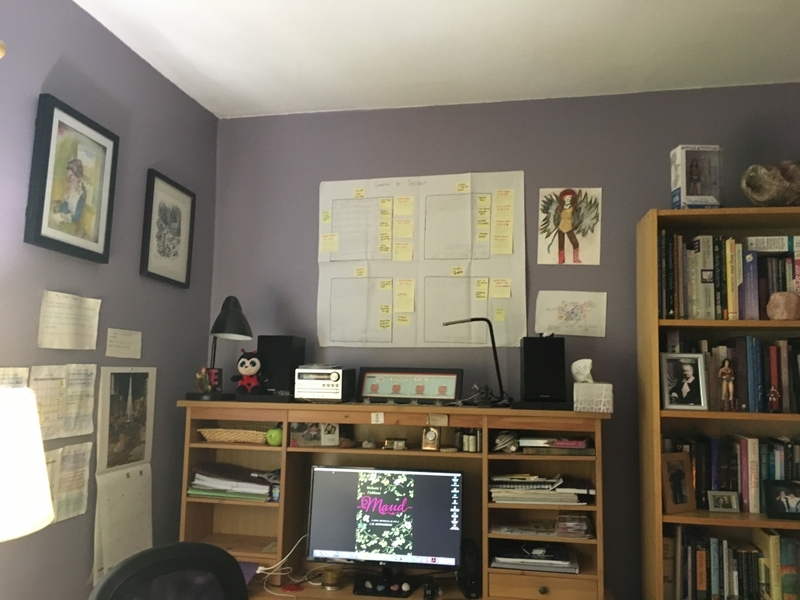 What did your writing process look like for the book? This book took me about five years to write. There was a lot of research, spending many hours in archives and traveling across the country to Prince Edward Island, Prince Albert, Saskatchewan, and the three places she lived in Ontario, Leaskdale, Norval and Toronto. I interviewed Montgomery’s relatives and explored the sites of the places where she once lived. But I wrote while I researched, setting up an outline that changed over time. My process is that I write, print the manuscript out and then revise, typed the revisions in and then do the whole process again. I would use different colour markets to highlight various plot or character arcs, making sure there was a fine balance. Many. I would say the belief that my novel was about one thing but it was actually about something else. Being open to that process. I’m querying the novel that I partly wrote at VCFA and revising on a new historical fiction novel that I hope to submit to agents later this year. I am also doing a number of speaking engagements across southern Ontario, giving lectures on Montgomery and children’s literature at a few academic conferences and developing a writing workshop series. MELANIE J. FISHBANE holds an M.F.A. in Writing for Children and Young Adults from the Vermont College of Fine Arts and an M.A. in History from Concordia University. With over seventeen years’ experience in children’s publishing, she lectures internationally on children’s literature and L.M. Montgomery, who she has been obsessed with since she first read Anne of Green Gables in Grade Six. 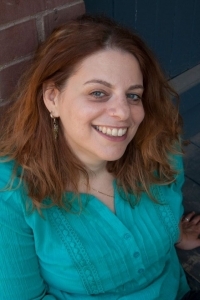 A freelance writer and social media consultant, Melanie teaches English at Humber College. Melanie also loves writing essays and her first one, “My Pen Shall Heal, Not Hurt”: Writing as Therapy in L.M. Montgomery’s Rilla of Ingleside and The Blythes Are Quoted,” is included in L.M. Montgomery’s Rainbow Valleys: The Ontario Years 1911-1942. Melanie lives in Toronto with her partner and their very entertaining cat, Merlin. MAUD is her first novel. You can follow Melanie on Twitter @MelanieFishbane and like her on Facebook. 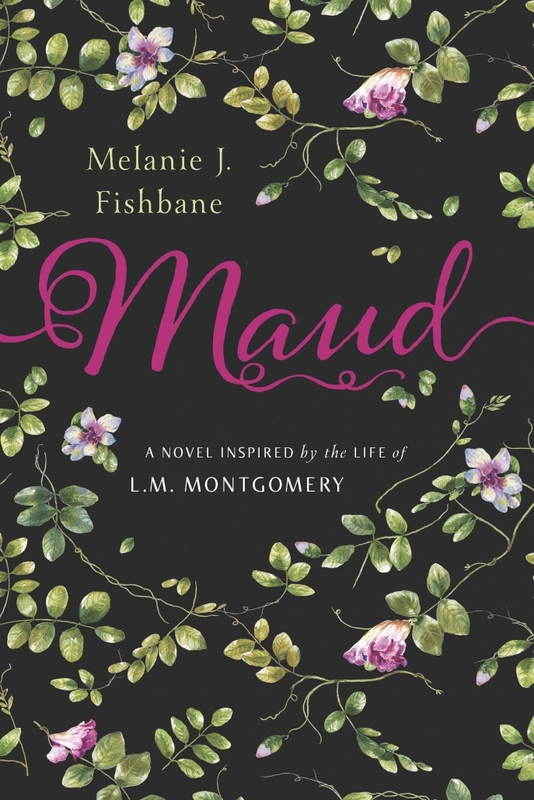 Melanie Fishbane’s YA historical novel MAUD is nominated for the Vine Awards for Canadian Jewish Literature (Children’s/YA category).